A fine steel herb or vegetable chopper with a wooden, saw handle. 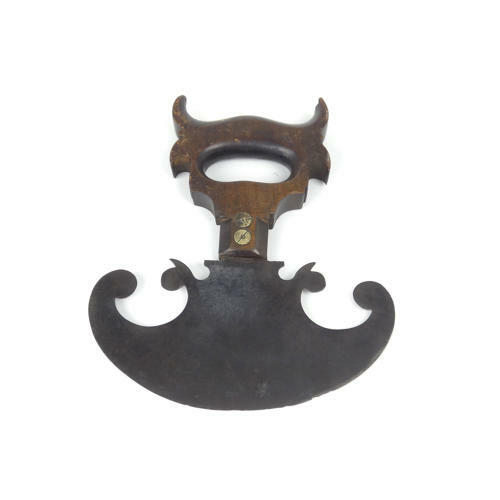 This type of chopper is interesting in that they were made, in the 19th century, as a sideline, by the manufacturers of saws, and the same handles were used on the choppers as on the saws. Usually the blades are marked with the name of the manufacturer but this one is not. They are not common. We have had two in the past and both have been marked. The blade on this one is exceptionally fine and it is also beautifully shaped. It dates from c.1860 and it is in excellent condition.